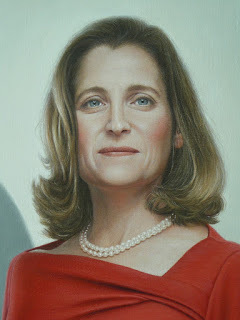 These are two commissions I painted last winter. In September, 2018, I had a mastectomy to treat breast cancer. 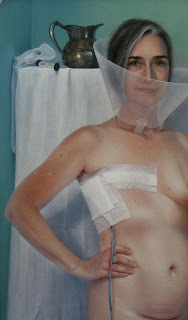 While I was recovering from the surgery, I painted a self-portrait. This is a detail. 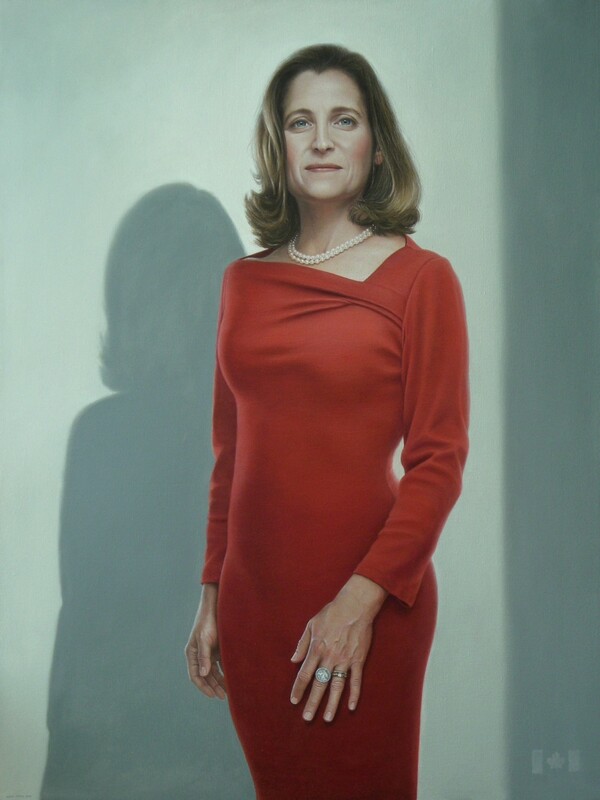 The full painting may be seen on my website. 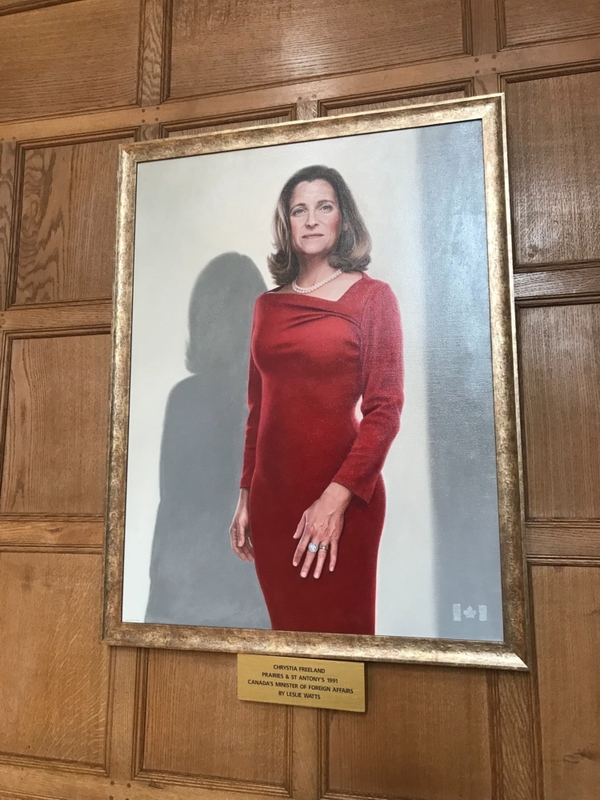 Last fall I received a commission from the RP (Royal Society of Portrait Painters) in the UK: a portrait of Canada's Minister of Foreign Affairs, Chrystia Freeland, for Rhodes House in Oxford. The portrait is now hanging above the Head Table in Milner Hall, alongside Nelson Mandela, Cecil Rhodes, and the Second Century founders. 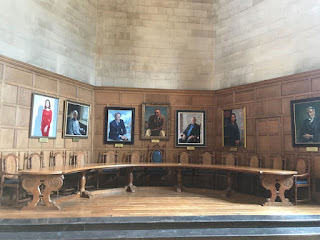 I am delighted and honoured to share these photos of the painting as I photographed it, and as it now looks in its frame at Rhodes House. 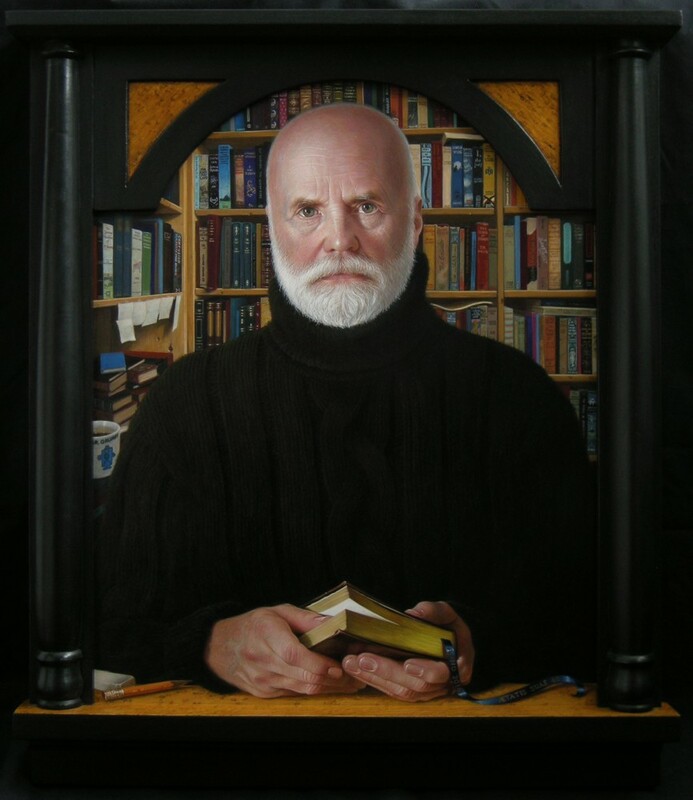 oil on Belgian linen, 40 x 30"
I am thrilled that The Bookseller (see my post from February 3, 2017) has won the $1,000 People's Choice Award at the first of three exhibitions of the Kingston Prize, Canada's national portrait competition. The show closed last week in Gananoque and will reopen on November 4 at the Peel Art Gallery, Museum and Archives in Brampton, Ontario. The show will close there on January 8, 2018. 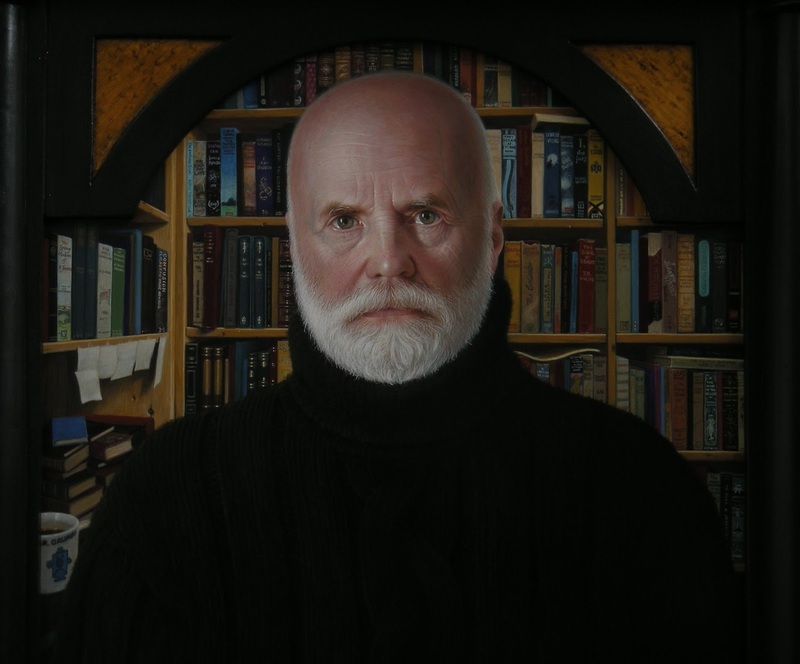 The Kingston Prize will then move to Artport Gallery, Harbourfront Centre, Toronto, on February 2, 2018, where it will be on display until April 22. 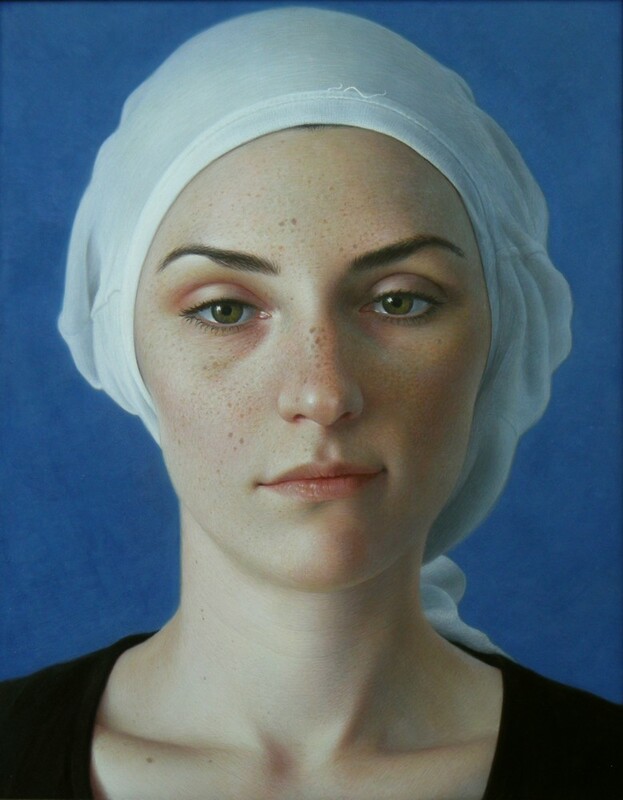 I'm delighted to have had two works selected for the Royal Society of Portrait Painters' Annual Exhibition 2017 at the Mall Galleries in London, UK. They are Reliquary: Five Members of the International Midnight Painters' Society and The Four of Us (see my previous posts). To read more about the RP, please click here. 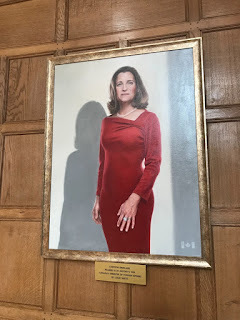 I'm extremely grateful to my friends and colleagues for their continued and enthusiastic support. 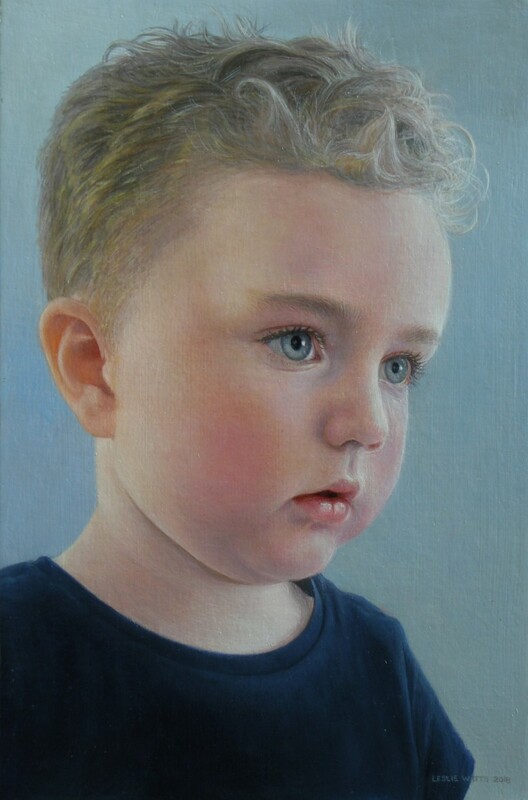 This is a gallery of some of the portraits that I have painted. Please click on the images for a larger view. Painter of landscapes, still lifes, interiors, and portraits. Visit my Fine Art site, where you may see work available for purchase at Village Studios in Stratford, Ontario. 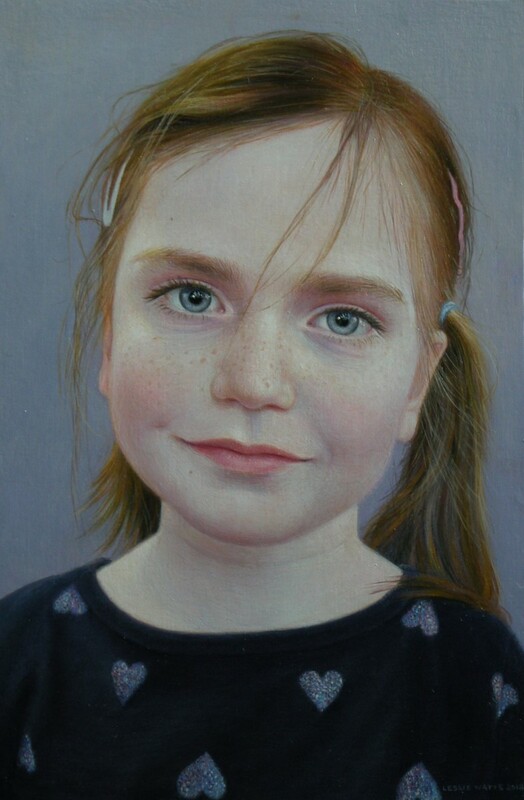 Visit my daughter's portrait site.